What are Florida’s Laws on Spousal Privilege? 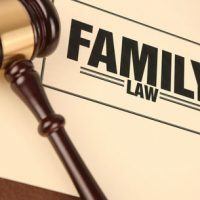 You may have seen references to spousal privilege on television and assumed it was on-screen theatrics, but there is a valid legal theory that deals with privileged spousal communications and dictates when a spouse can testify against the other. There are situations in criminal and even family law where spousal privilege may or may not apply. In Florida, the Evidence Code Section 90.504 governs marital communications. The statute sets forth the right for a spouse’s privilege to apply during and after a marital relationship. This allows a spouse to refuse to disclose, or prevent another from disclosing, any communications that are considered confidential between the couple when they were married. Either spouse can claim privilege, as well as the guardian or conservator of one spouse. In easier to understand terms, if your spouse told you something in confidence, you can assert your right to spousal privilege at trial to keep him or her from testifying as to what you said. While the object is to protect the marital relationship, spousal privilege does have limitations. When Does Spousal Privilege Apply? There are several main requirements that must be met for spousal privilege to apply. The first is a valid marriage. Without a legal marriage, there is no spousal privilege to be had. You can still assert spousal privilege once you are divorced, but whatever the communication was must have occurred while the parties were still legally married. The second requirement is that the communication was intended to be confidential in the first place. There are situations where you believe privilege might apply, but in reality, it doesn’t. If the conversation in question took place with other people in the room, it would not be considered privileged. And, if the information was communicated to a third party — intentional or not — privilege is waived. A spouse can be forced to testify in situations where the subject is not about communication but instead an observation of behavior or actions. Because privilege is not allowed in matters where one spouse filed an action against the other, it would not apply in divorce proceedings. This means one spouse can’t stop the other from revealing information learned from their marriage during the divorce. Because spousal privilege survives marriage, one spouse cannot call the soon to be ex’s former spouse to testify in the divorce. Some parties want to get their spouse’s former husband or wife to strengthen their own standing in the current divorce. The only way a former spouse could testify is if the communication in question took place when they were not married. If you have more questions on spousal privilege and what evidence is admissible in your divorce proceeding, it’s important to speak with a skilled Florida divorce attorney. Contact the Law Offices of Schwartz | White for more information.